Moving?! How to handle your beauty subscriptions. If you follow me on Facebook you probably already know I've mentioned that we're moving cross country. The move is actually pretty close and in less than three weeks we begin the journey CROSS COUNTRY from Washington State to Massachusetts! We know it's going to take us at least a week to get there via car as we're taking three vehicles and a caravan of pets, children and of course our stuff. So I was in a quandary on what to do with my beauty subscriptions that typically ship near the end of the month and either arrives the last few days or the month (like PopSugar) or the beginning of the month (like Glossybox). Thanks with the help of Bill, our mail man, I figured out what to do and figured I'd share my tips with anyone who is also planning a move. I've seen on various sites including a couple of Facebook groups that people who have moved and put in a forwarding address did get their packages forwarded but ended up having to pay extra postage due to the forward. Yikes! No thanks! So talking to Bill he suggested that I simply have the mail held here at our current address then begin forwarding it in June and when the hold here lifts he'll forward the mail and packages. Good idea but hearing that people are charged extra postage made me wonder if that really was a good idea so instead he and I both agreed my idea was better. 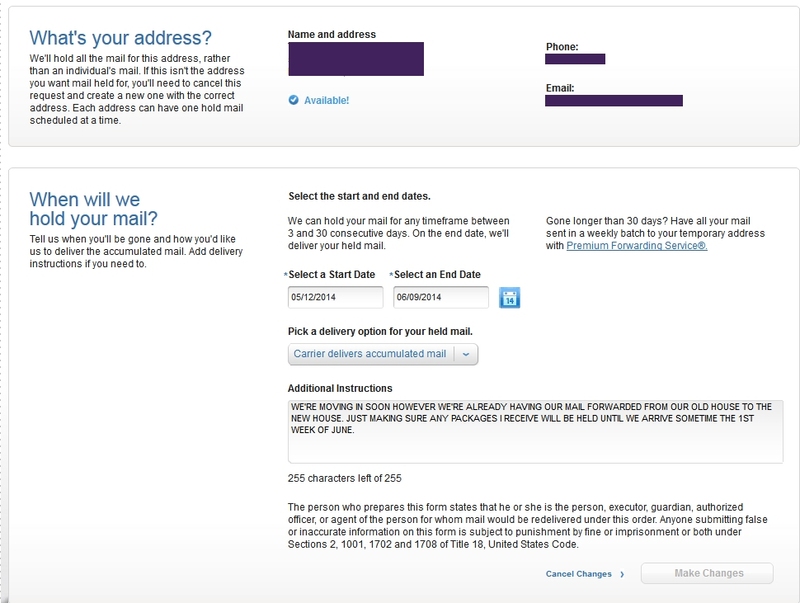 My idea: update your address with your subscription services to your new address and use the USPS Hold Mail Service to place a HOLD on your mail at your new address a week or two before your move (to catch any mail going to your new address) and up to two weeks until you get to your new address. You can always adjust the dates but the USPS gives you up to a month to hold your mail including packages. You can then either have the mail delivered to your address at the end of the time or you can pick it up at the post office. Of course this works only IF you have your new address a month in advance. 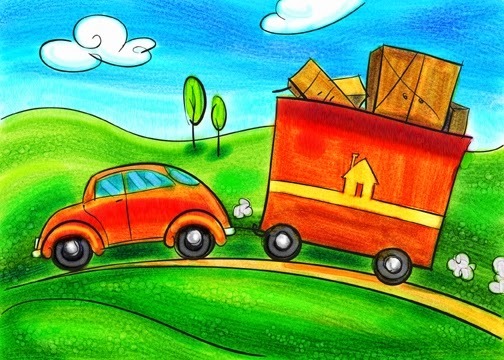 Now if you live in the same town or area and you move but your package is in route to your old address you can put a HOLD on your mail to your old address and set it to pick up at the post office. This would have worked for me if I was merely moving across town but our move is across the United States from the Pacific Northwest to the New England area. Of course this only works with USPS and not FedEx, UPS, DHL or any other package delivery service. I know with either FedEx or UPS you can intercept a package but I'm not sure if you can re-route it with any other companies. I have to look into that in the event we have packages delivered to us via a package delivery service while we're gone.